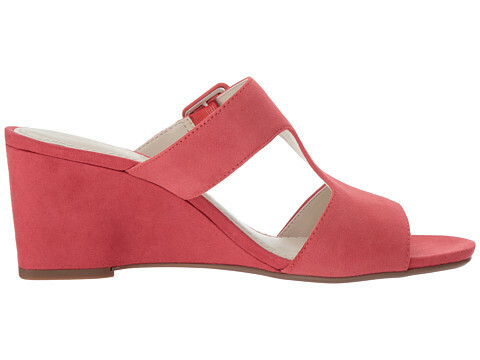 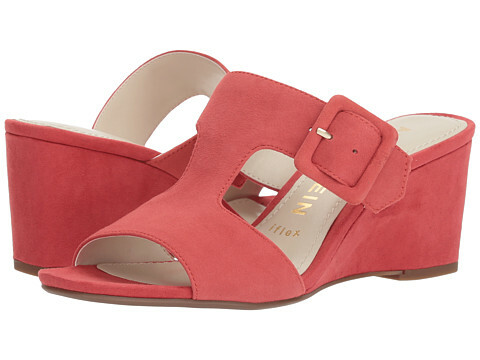 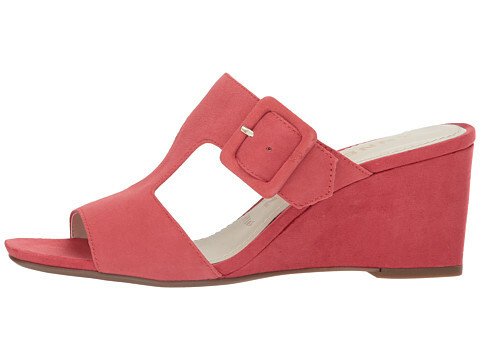 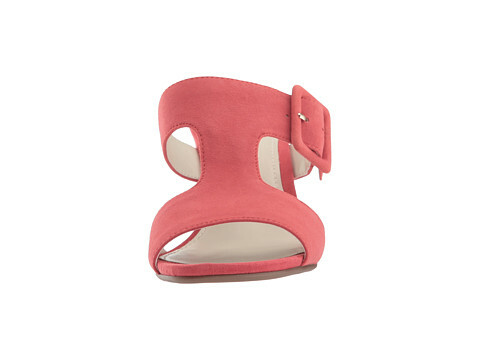 Make your look stand out in the lovely Anne Klein Nilli sandal wedges. 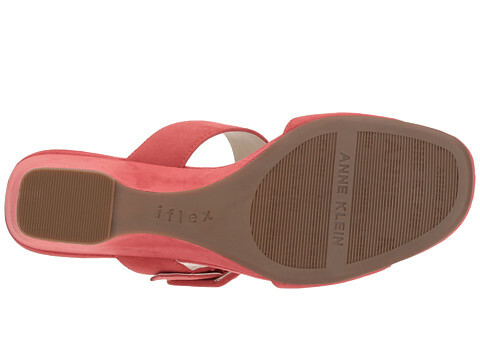 Heeled slides with leather upper. 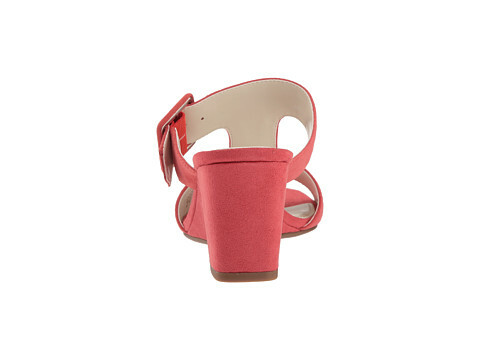 Cutout design with buckled detailing.